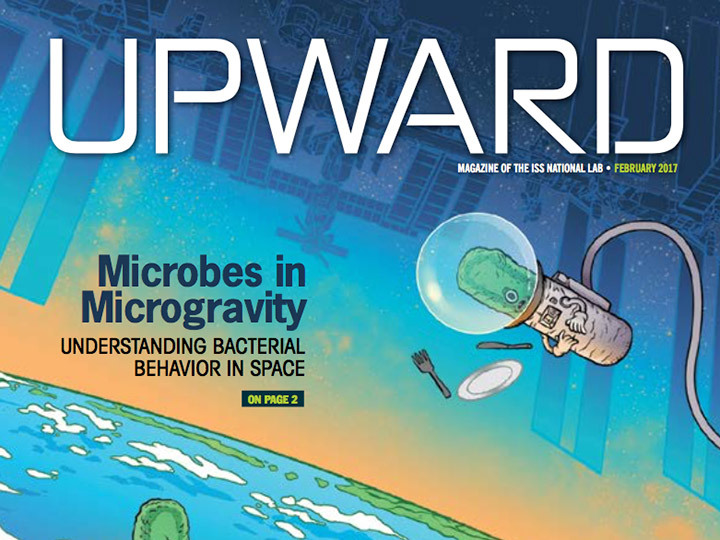 Dive into 2017’s first issue of Upward to learn about more of the fascinating research taking place on the International Space Station U.S. National Lab. 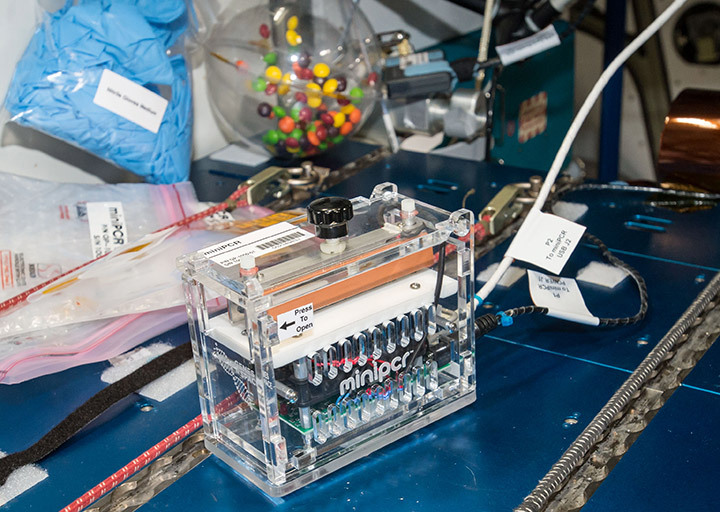 In this issue, Greg Johnson, president and executive director of the ISS National Lab, shares his perspective on another successful year expanding the frontiers of science with our nation’s one-of-a-kind orbiting laboratory. 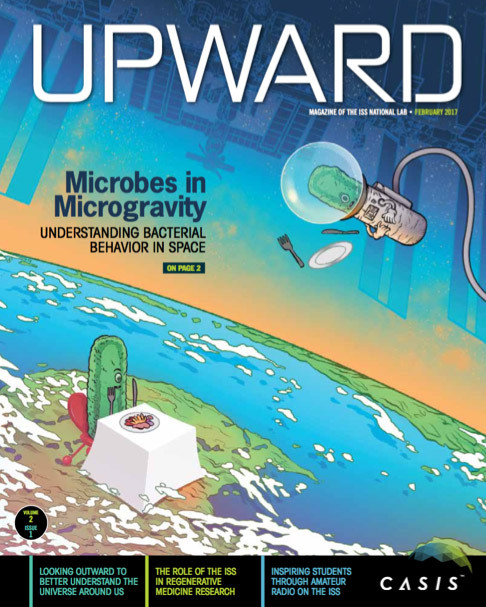 Discover what researchers have found about microgravity’s effect on some of Earth’s smallest living organisms—bacteria—and the resulting changes in behavior that bacteria experience in space. Gaze outward with researchers, as they use the unique vantage point of low Earth orbit to learn more about the cosmos, from meteors to exoplanets and even the origin of our universe. Finally, learn about exciting new initiatives and events, including education programs, upcoming payloads, and exciting partnerships with prominent government agencies. Join us for another year in our boundless endeavor Upward!